A well-filled inventory is the mark of a successful adventurer and can display many things. Of course, the primary purpose of an inventory is to store the loot you discover while out in the field before putting it safely away in storage. However, your inventory also displays what type of armor you are wearing and which weapon(s) you have equipped. Each character can equip up to two weapons -one for each hand- and one protective suit. Of course, you can go adventuring through the star systems without proper equipment, but it’s not really recommended. 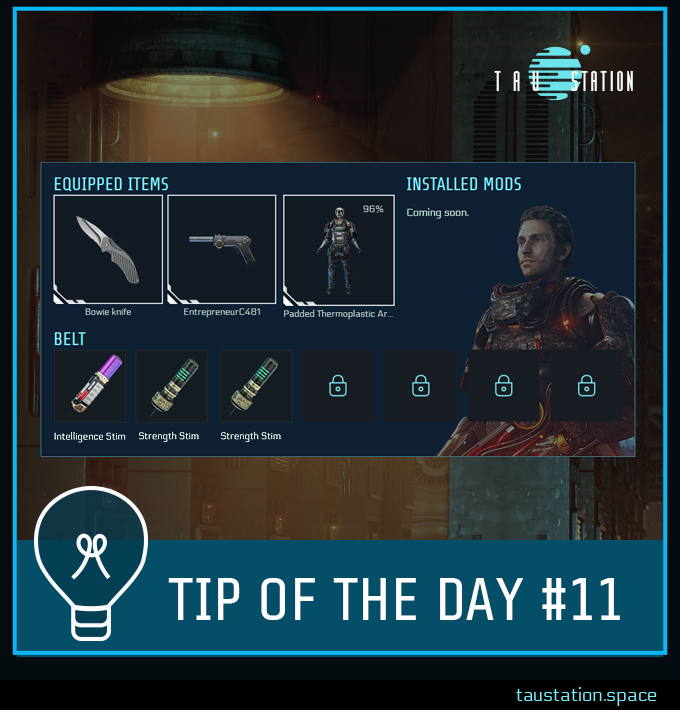 Another important part of your inventory is your belt, where you can store diverse consumables for use during combat. Each character starts with 3 belt slots which can be upgraded to 7 by taking the appropriate courses in the University. The inventory is also where you want to look if you want to know the details of the items you’ve been collecting, and in the future, it’ll also display which mods you have installed. From your inventory you can also decide which items you want to drop, sell, or store. You can drop an item wherever you want, but in order to store or sell something you will have to be in the Market. We already talked about selling objects in yesterday’s tip, so we will now cover storage and why you need it. Why would you want to store items in the first place, you might ask? Well, we are in a realistic universe and one cannot realistically run around with a hundred kilos of stuff on their back and hope for it to end well. The more items you have on you, the more your carrying capacity will reduce, and the more encumbered you will become. The problem with being encumbered is that you risk crumpling to the floor and being sent to Sick Bay for recovery. 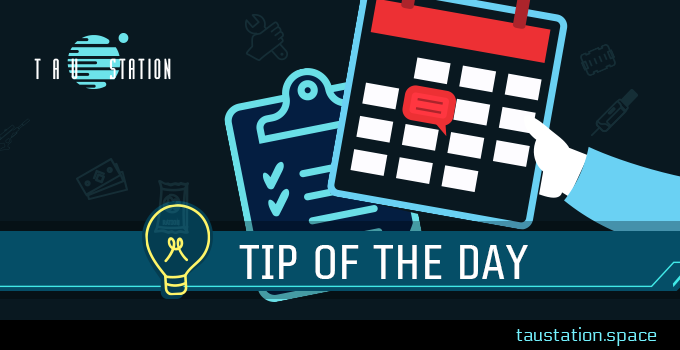 Additionally, your physical stats will begin to decrease each time you move from location to location. You might even collapse again when you want to leave the Sick Bay, so be careful, or you’ll have to drop some items on the way. Always keep an eye on how much you carry, and if you want to avoid becoming encumbered, head to the Market to access your storage or sell some items, before you are forced to drop something. Every citizen of the Consortium is automatically given a storage capacity of 50 slots on the first station. Luckily, since you start as a member of the Consortium, you also benefit from this. The slots are located at the Storage zone of the Market. For just a few credits, you can upgrade the capacity to 150 or 500 slots. If you travel to new stations, keep in mind that you might also want to have some storage space there as well, but keep in mind that storage is localized and therefore not linked between stations. This means that an item stored on København will not be accessible from Tau Station. Need to move goods to another station? Use the Shipping Bay to send items from one station to another! Storage is a safe place, because only you can access it, and your items will be secure no matter what happens to you. Death, for example. Your clone will be grateful to have that backup set of armor and weapons available to them.